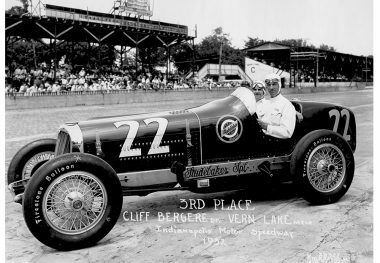 CLIFF BERGERE participated in 16 Indianapolis 500 races and had driven more miles (6,142.5) in competition at Indianapolis than any other driver until A.J. 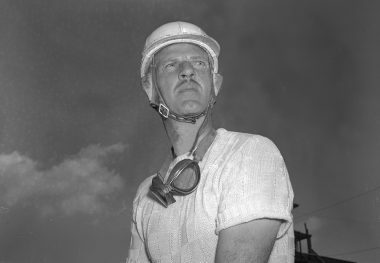 Foyt surpassed that mark in 1975. 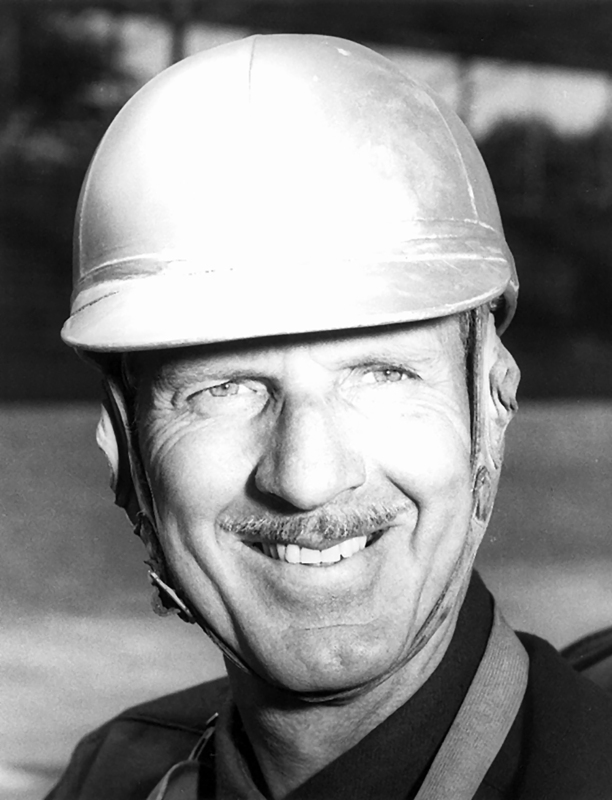 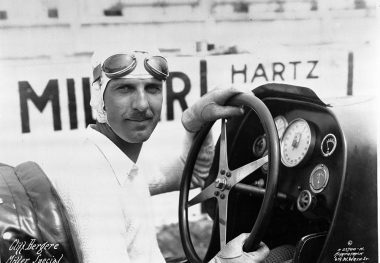 Bergere led the Indianapolis 500 in three different years (1941, 1946, and 1947), won the pole position in 1946, and eight times finished among the first ten, including third-place finishes in 1932 and 1939. 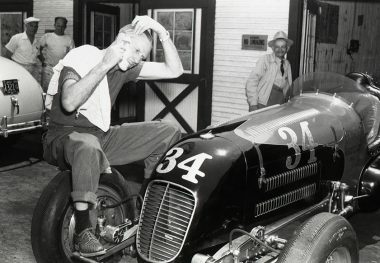 After leading the early stages of the 1947 race with a V8 supercharged Novi, he took over the team car started by Herb Ardinger and finished fourth. 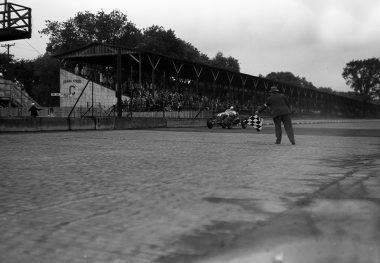 This was one of the few times that these crowd-pleasing cars were able to finish the race. 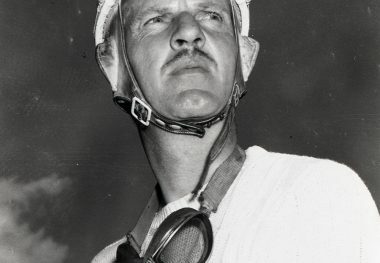 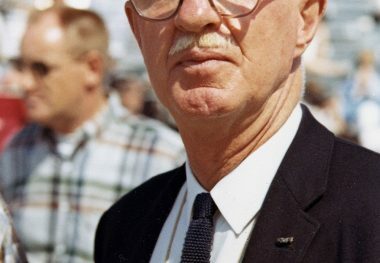 In 1941, he was the second driver to go the entire distance without making a single pit stop (the first was Dave Evans with a Cummins Diesel in 1931) when he finished fifth. 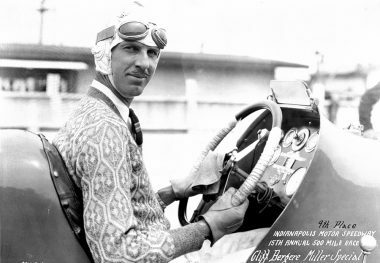 During World War II, Bergere served in the United States Army, rising to the rank of major. 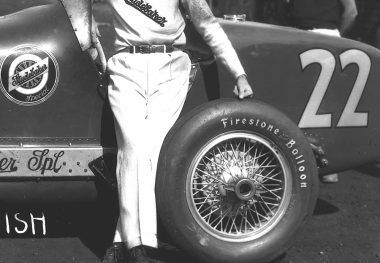 For about 30 years, Bergere enjoyed a colorful second career as a Hollywood stunt man. 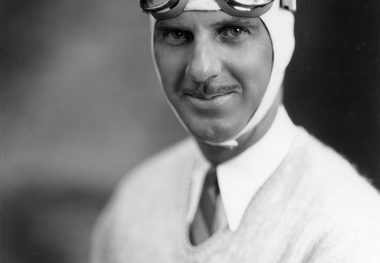 He appeared in several hundred films from the “silent” days until after World War II.